And at the end, Caruana wins ! After three draws in the first rounds, another challenge was awaiting me during the first rest day. Indeed, after farm work last year (in french), the Norwegian organizers, who undoubtedly don’t lack imagination, had planned a cooking challenge, worked up with the Clarion Hotel crew ! Spread over five teams of two, we players had to cook a specific recipe. 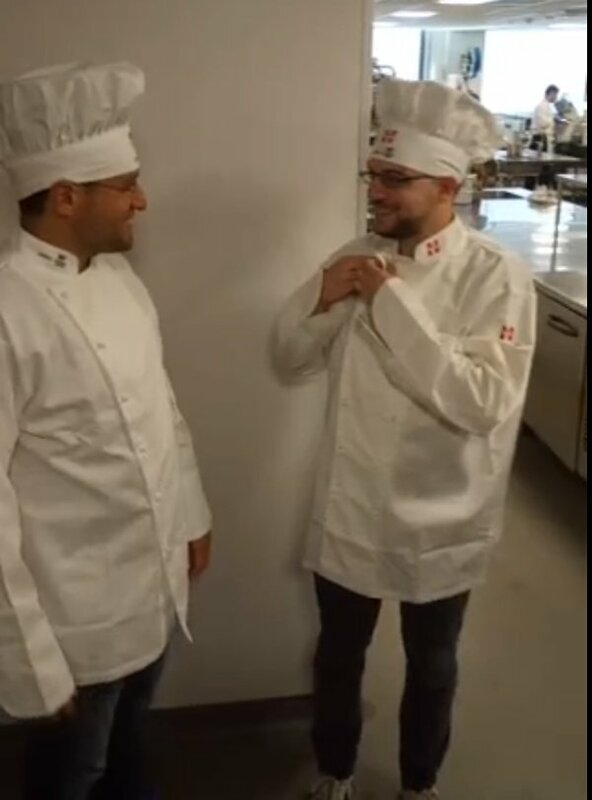 I thought I got a good draw with Levon Aronian who, like me, has a bit of a cooking experience. But in the end, we messed it up, and it didn’t work as it should have. As I wrote on social networks, I would have done better alone in my kitchen ! 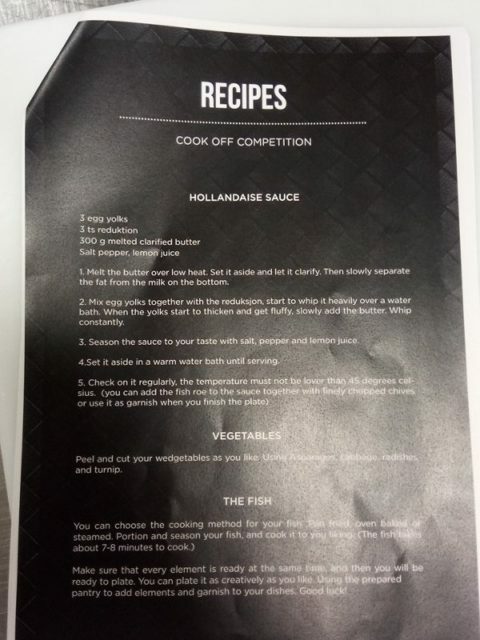 Fish, vegetables and a sauce hollandaise on the challenge menu. Anyway, it was rather fun, the more so as half the players (won’t name them…) were probably for the first time in their life behind the stoves ! The next day, I was again in some sort of kitchen, but on the board… Facing me was Karjakin, who challenged one of the Grunfeld variations I had analyzed in detail some six or seven years ago. In the first instance, I reacted correctly, and I remembered what was to be done. Unfortunately, I got carried away with the exchange sacrifice 24…f4? !, very tempting from a practical point of view, but probably slightly inaccurate. 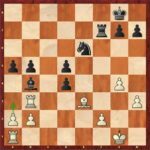 Karjakin didn’t miss taking advantage of the breach, and I couldn’t do much afterwards. I tried 1.d4, but I’ve got to apologize to my helpers for not being able to remember the details of the prep’. 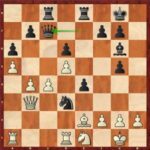 Mvl-Aronian, round 5; 13.Rd1?! was not supposed to be on the agenda ! After 13…Bxc3! 14.bxc3 Qa5, I land with a misplaced Bishop on b2, and I’m the one who has to fight for equality. Which I did quite adequately, but it was surely not my initial intention ! Hikaru decided to take over the idea Nc3/Qxd4 followed by b3/Bb2 against the Sicilian, which gave Carlsen a win over Wojtaszek a few weeks ago in Shamkir (Azerbaijan). I thought I could clarify the position with my move 10…e5, but the reality is that I’m slightly worse in the ensuing ending. My life could have been more complicated if, instead of the bad 21.h3?, he had chosen the variation 21.f4 Bg4 22.fxe5 dxe5 23.h3 Rxd3 24.hxg4 Rxd1+ 25.Rxd1 Nc6 26.Rd7 Bb6 27.Rxb7, even if I would have kept good drawing chances after 27…Rd8!. Maybe I could have been greedier afterwards, with a more concrete approach, in order to try getting the advantage. The game finally concluded in a fortress position, erected by both camps ! 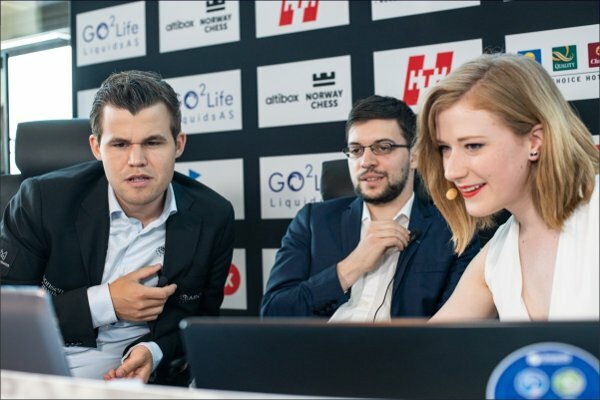 Analyzing with Magnus Carlsen and the Hungarian commentator Anna Rudolf (photo Altibox Norway Chess). It is no mystery that I was surprised by his choice of the Open Spanish. But I had good recollections of my old analysis in this opening, and I even had two lines to choose from. I opted for the c3/Nbd2/Re1 arrangement, and I thought I was taking a slight edge. Therefore I became a bit too optimistic about my chances, and I didn’t anticipate properly his 21…f5! counterplay. 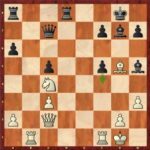 My position went downhill after his nice exchange sacrifice 24…c5!. Even so, I could still have earned a draw, had I found 29.a3!, instead of the terrible 29.Rxb4?. It leads to a drawn Rook endgame after 29.a3! Nc5 (29…dxe3? 30.axb4 exf2+ [30…e2 31.Re3 Nd4 32.bxa5! +-] 31.Kf1 a4 32.Re3 with a clear white advantage) 30.Rxb4 axb4 31.Bxd4 Nb3 32.Rd1 Nxd4 33.Rxd4 bxa3 34.bxa3. Mvl-Anand, round 7; Maxime misses 29.a3! and uncorks the terrible 29.Rxb4?. But I completely forgot about 29.a3!, and it was the same for his 30…b3!, which shuts down any further debate in the game. Out on a walk after the tournament, with a wink at the animated series « Rick & Morty ». A remake of what is now called the « French Najdorf », an idea of Laurent Fressinet found for Magnus. You play 6.Be2 e5 7.Nf3, then Bg5 and Nd2. A lot of French players have taken up the idea, with pretty good results. I was not unhappy with this choice, as I felt the variation was at the same time balanced and dynamic. Even if I was clearly not in the best shape, I could at least rely on my instincts in this type of position, which I handle fairly well. Then I found myself with an entrenched Knight on d3, and the possibility of playing 27…Qe7 before he could launch any play on the Queenside. 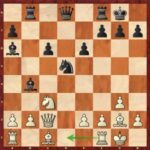 I don’t know if the decision to force an endgame by 31…Qc7 was good from a practical point of view, even if it earned me a pawn. So-Mvl, round 8; 31…Qc7 forces a good endgame after mass exchanges on d3, but it is perhaps not enough to win. I admit that before this game against the World champion, I had the thought that it was time to look towards the next tournament, unless he would try something special, in which case I would have gone and fought. But in a « normal » variation, I didn’t wish to use an idea I had in store, for a rather low-stakes game from a sporting point of view. 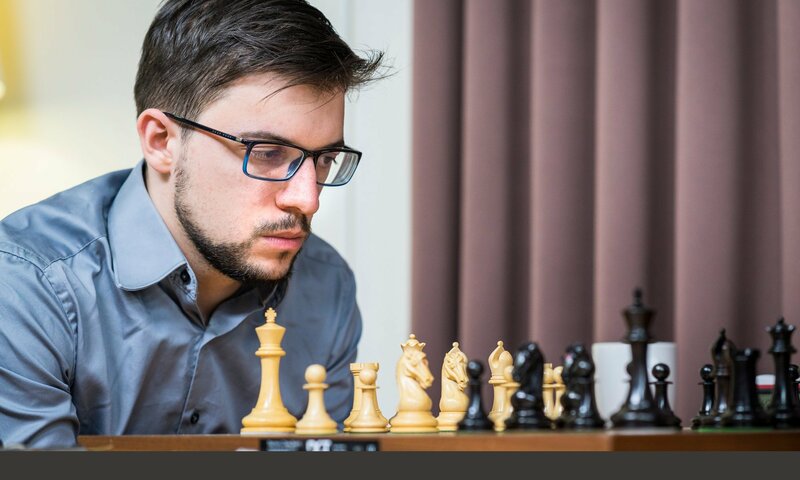 I would like to conclude with huge congratulations to Fabiano Caruana, who wins yet another top level tournament, and proves to be the indisputable World #2 and Challenger. 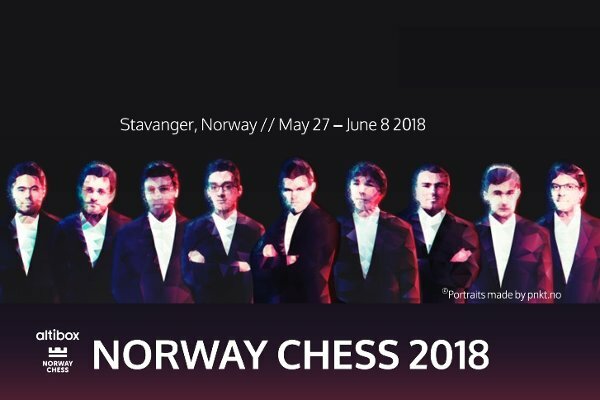 And to avoid unwelcome gossip, Caruana was participating in all of these activities, with the result in the tournament everybody knows ! 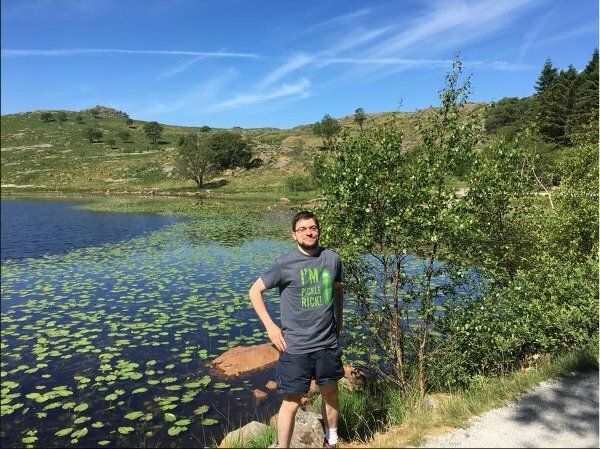 Previous PostPrevious Hello again, Stavanger ! Next PostNext Leuven 2018, a mind-blowing finish !